I really love this scratch card as it adds much more to the traditional scratch format and gives you real value for money with the three games in one. 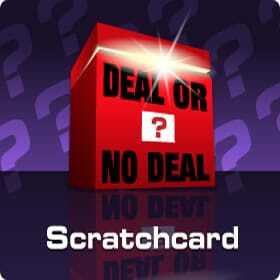 The extremely popular Deal or No Deal is now available as an online scratch card. 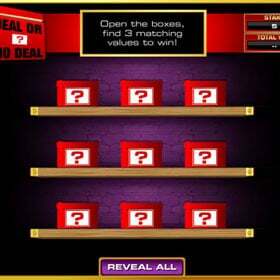 Fans of the game show in which contestants are offered the opportunity to negotiate with the banker can now take a go at opening the famous red boxes for themselves with this fantastic three in one scratch card game. Whether you’re matching symbols, cash, or playing for the jackpot, there are plenty of reasons to get excited for the Deal or No Deal Scratch Card as every card you buy will give you three chances to win an instant cash prize as you aim to take home the £10,000 instant jackpot! The first part of the online scratch card game asks you to match your symbol with another symbol from one of the four red boxes. Secondly you get the chance to match three symbols from behind four panels. Lastly you get to match three winning values from a total of nine red boxes. 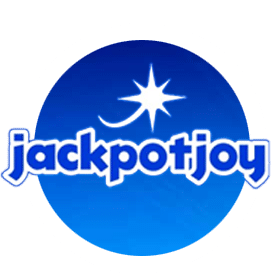 Play this scratch card and many more like it at Jackpot Joy. 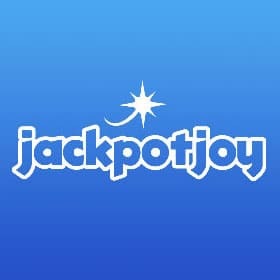 New Customers receive a Sign Up Bonus plus 30 Free Spins.